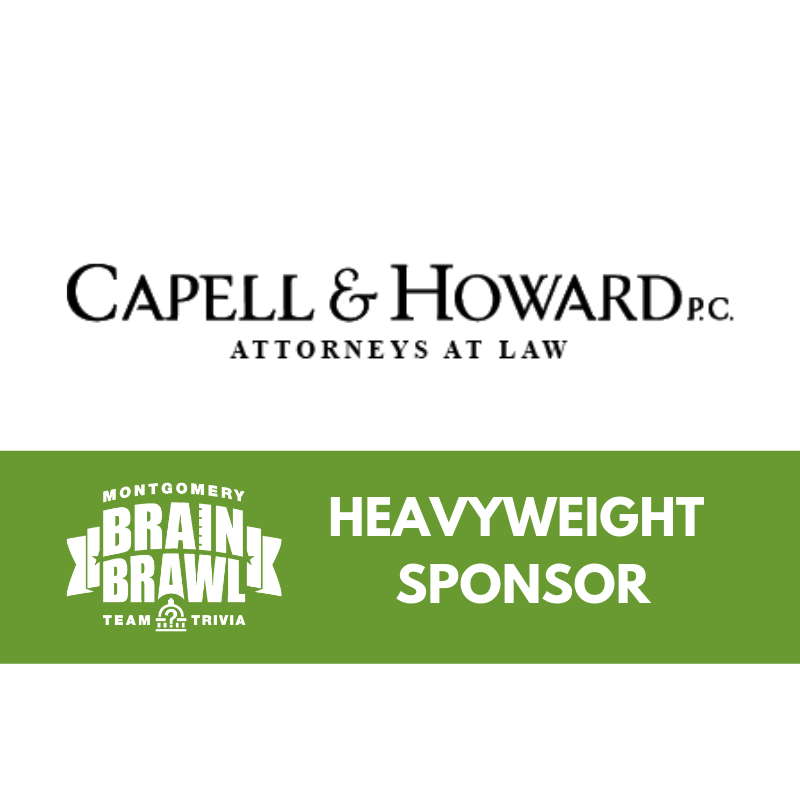 We’ve been counting down to the 2018 Brain Brawl and decided to check in with one of our Heavyweight Sponsors— Capell & Howard. Since the inaugural Brain Brawl, Capell & Howard teams have competed. “It was a great feeling to place two different years and be a part of winning money for schools. We won prize money for Brewbaker Intermediate School one year and for Baldwin Arts and Academics Magnet School another year. The Brain Brawl is a terrific event, and we love supporting our local schools in such a fun way,” said Mary Tyler Ashe. Capell & Howard’s ties to Montgomery Public Schools and the Montgomery Education Foundation run deep. Two of their attorneys, Bill Coleman and Hank Hutchinson, are past members of MEF’s Board of Directors. And attorney Barbara Wells currently serves on MEF’s board and also her three sons attend schools in the Montgomery Public School System. “Capell & Howard has deep roots in this community. Its attorneys and staff are dedicated to making the community a better place. Public education is a good investment in our community. Public schools train our future leaders, business owners, workforce, citizens, and neighbors. We believe we are all stakeholders in public education,” Ashe shared. Brain Brawl is a great night of fun and healthy competition, and most importantly a way to support public education in Montgomery. Good luck to Capell & Howard in the 2018 Brain Brawl! For registration and more information visit, https://www.montgomeryed.org/brainbrawl.